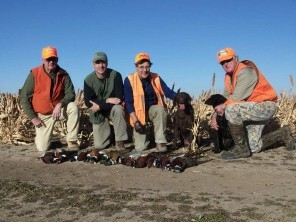 The Texas Panhandle offers some of the best pheasant hunting in the country. 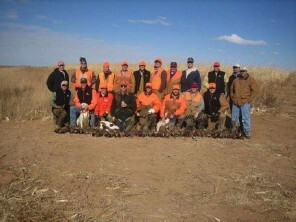 Texas Panhandle Pheasant Hunts hunts only family owned land that is farmed and managed to increase the quality of your pheasant hunt. 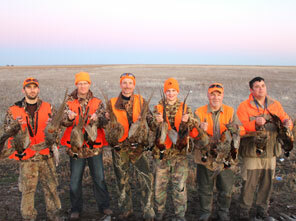 Our hunt areas are located near Silverton, TX in the southeast Texas Panhandle where a game-rich environment with all of the right habitat provides us with pheasant hunts that are second to none. 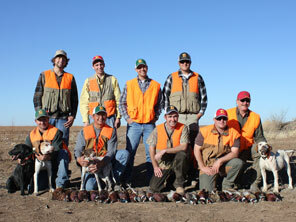 Most of our Texas Panhandle pheasant hunts provide our hunters the opportunity for limits of pheasants and during good moisture years, many hunters enjoy the added bonus of a few bobwhite quail during the hunt. 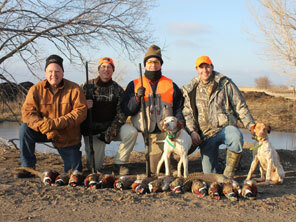 Hunters are encouraged to bring their own dogs if they're well trained and will honor other dogs on point. 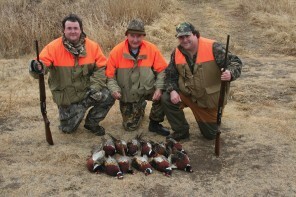 You will be guided by knowledgeable hunters that fully understand your needs and whose only wish is for you to have a perfect hunting experience. 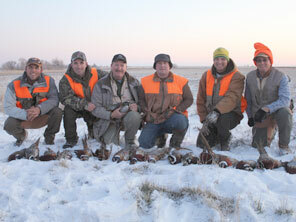 We offer All Day, Morning, and Afternoon Hunts to accommodate all levels of hunters. 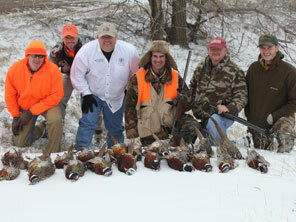 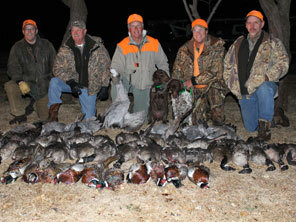 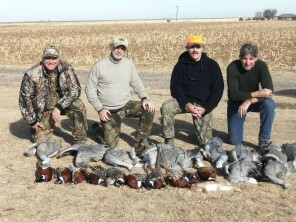 Texas Panhandle Pheasant Hunts specializes in small groups as well as corporate outings that can include BBQ cookouts. 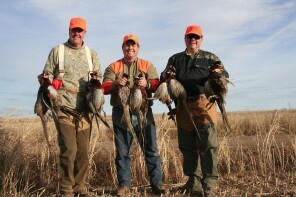 All Afternoon Pheasant Hunts can be combined with a Morning Goose, Sandhill Crane or Duck Hunt for those hunters who'd like to hunt a variety of species while hunting in the Texas Panhandle with Texas Panhandle Pheasant Hunts. 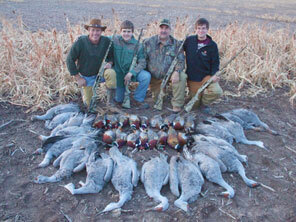 Complete information for goose, sandhill crane, & duck hunts is available at PanhandlesBest.com. 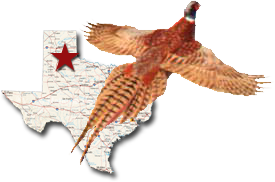 All of our pheasant hunts take place near the town of Silverton, Texas, which is approximately 70 miles from Amarillo and 90 miles from Lubbock. 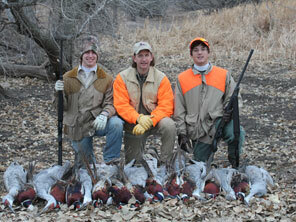 Pheasant hunting takes place in small areas of CRP lake bottoms, abandoned homesteads, tree lines, and grain fields. 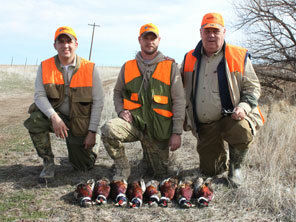 Hunters can typically expect to see good numbers of pheasants while hunting with Texas Panhandle Pheasant Hunts. 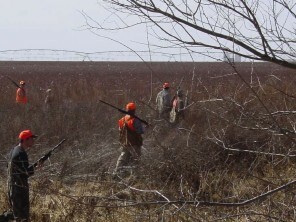 The season is generally about a month long and typically runs from the first weekend in December through the first weekend in January. 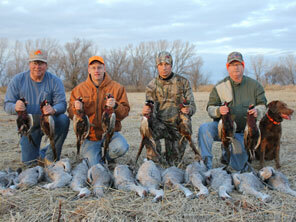 With the season being rather short, dates tend to book up fast. 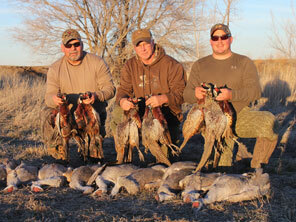 So, give us a call and let us put together the hunt of a lifetime for you and your hunting partners. 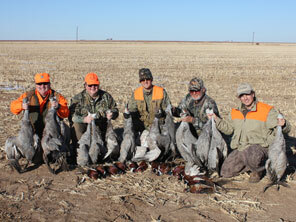 We will customize our hunts to fit your needs to make it a memorable hunting experience.